Wesley House Family Services was founded in the early part of the last century by the Methodist Church as a settlement program for Key West’s Cuban community. This included a kindergarten to teach English to children who had immigrated with their families from Cuba to ease their transition into public school. Over the years, our organization has continued to grow geographically and in responsibility to meet the multitude of needs in the community. In the mid-1940’s, Wesley House became a stand-alone 501 (c) 3, not-for-profit organization. In 1971, in response to an overwhelming need for professional child care in Key West, the agency instituted the area’s first full-time child care center for working parents. In 2005, our Inez Martin Child Care Center began services related to the Voluntary Prekindergarten Program for eligible four-year-olds. Wesley House was selected and accepted responsibility for the child welfare system throughout the Florida Keys when the program was privatized in 2005. Agency programs encompass all aspects of the dependency care system including family support and prevention services for troubled families experiencing challenges and discord; full case management services when there is risk of harm to a child; foster and adoptive family recruitment, training and support services when it is necessary to remove a child from his or her family and the Healthy Families-Monroe program promoting positive parent-child relationships for expectant and new families. Wesley House is one of only 1,300 social service organizations accredited by the prestigious international Council on Accreditation (COA). 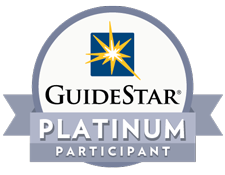 Wesley House has long subscribed to the model of non-profit transparency and posts its financial information on Guidestar.org where it is a Platinum participant. Wesley House Family Services is a not-for-profit agency designated 501(c)(3) by the Internal Revenue Code. We are supported by state and local funders, as well as private support through generous donations from the community.